"The layout used this week will combine holes from the club’s Eden and New courses, and is one of the shorter venues in the pro game." Four of the world's top 30 have travelled to the Far East for this week's 60th Hong Kong Open at Fanling. World No 9 Tommy Fleetwood, and reigning Masters champion Patrick Reed, are two of the big names teeing-up, alongside Spanish duo Sergio Garcia and Rafa Cabrera-Bello. Two other members of the world's top 50 are also in action, in the shape of Matthew Fitzpatrick and Lucas Bjerregaard, both of whom have won on the European Tour during 2018. With the exception of Garcia, the other five players mentioned above have all stood on the podium in Hong Kong during the past three years, although none on the top step. Cabrera-Bello has come the closest to winning at Fanling, having finished runner-up in each of the last two years, and with all six leading pros in decent shape right now, it's not going to be easy for anyone from outside this half-dozen to finish top of the pile next Sunday. If current form holds the key for outsiders hoping to challenge this weekend, then Sang Hyun Park and Victor Perez are in good shape. Experienced Korean Park has won three times this year and, in his most recent two starts in Japan, has posted top-10 finishes. 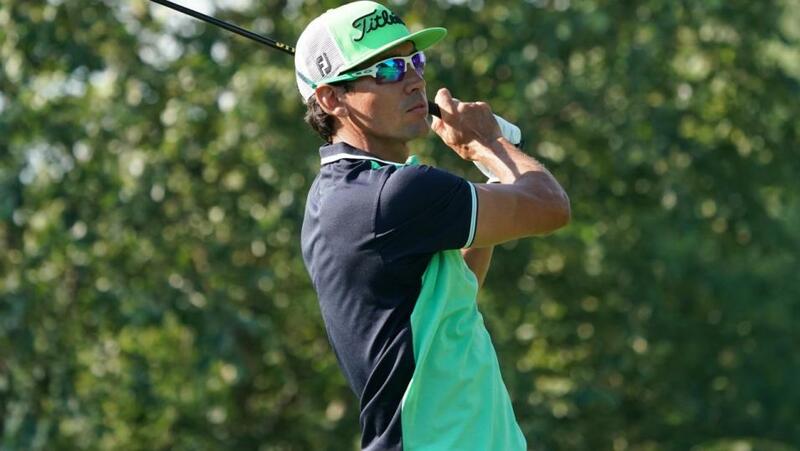 Frenchman Perez has excelled on the Challenge Tour during 2018 and recently won in China. Other in-form players include young Thai Jazz Janewattananond, Sean Crocker and Angleo Que who is a former runner-up in Hong Kong. Four-time champion Miguel Angel Jimenez is back in town while Marcus Fraser is hoping to become the fourth Australian winner of the tournament during the past five years. The 40-year-old resident of Melbourne, who was fourth in Sunday's Australian Open, has enjoyed five T-10s in Hong Kong over the years, including one podium finish. And Fraser's 29-year-old compatriot Jason Scrivener might also fancy his chances in Asia this week. First staged in 1959, the Hong Kong Open is one of the longest-running professional events in world golf and, for the past 17 years, has been co-sanctioned by the Asian and European tours. A number of those taking part have made the 3,700-mile trip from the Middle East to compete at Hong Kong Golf Club which is situated in the Northern Territories, approximately six miles from the country's border with mainland China. Tree-lined and flat, the course has reasonably tight fairways that demands accuracy from tee-to-green. As ever, the layout used this week will combine holes from the club's Eden and New courses, and is one of the shorter venues in the pro game. Eight of the holes are taken from the New, with the rest belonging to Eden and, 10 years ago, when the Olympic Games were staged by China, these two courses were the location for the cross-country segment of the equestrian event. Scoring is generally low, with only one of the last 19 champions posting a 72-hole total greater than 270.